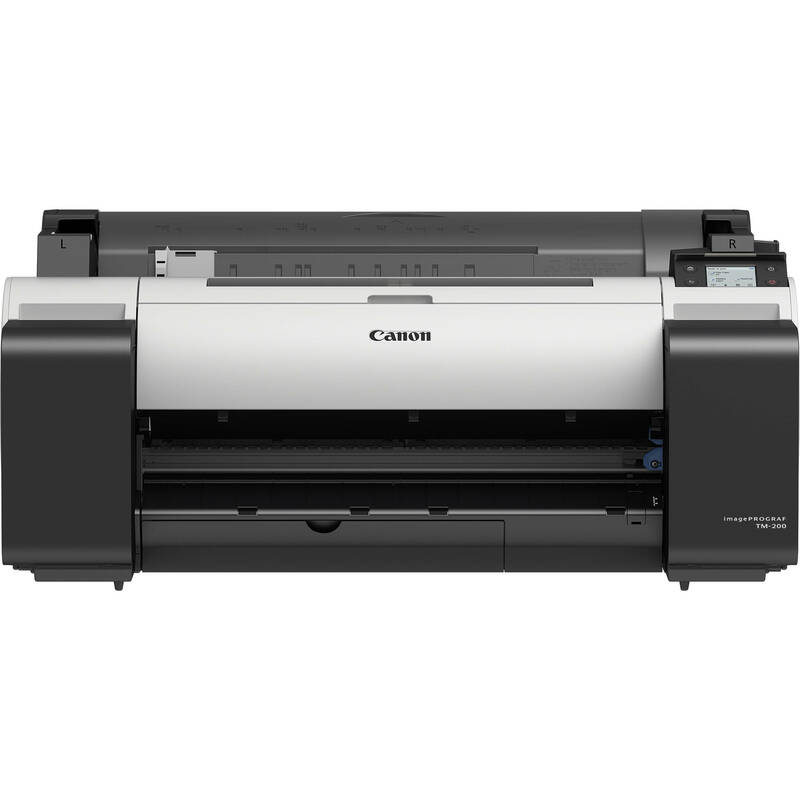 Create stunning prints with the imagePROGRAF TM-200 24" Large-Format Inkjet Printer from Canon. Able to handle media up to 24" wide and with a maximum resolution of 2400 x 1200 dpi, users can create high-quality documents and graphics with sharp text at large-format sizes. Featuring a high-precision, high-density printhead, with a total of 15,360 nozzles, the printer lays down 5 picoliter size droplets that produce sharp lines and fine details for exceptional image quality. The high density 6-channel PF-06 printhead has a maximum resolution of 2400 x 1200 dpi and is designed for fast printing with minimal mist spray. With a total of 15,360 nozzles laying down 5 picoliter-size ink droplets the printer is able to produce clean lines and text which produce sharp detail and excellent image quality. Featuring an all-new 5-color LUCIA ink set, this UV and water resistant ink is formulated to produce fine lines and sharp text on both inkjet and non-inkjet paper. Combine these inks with water resistant media and you have printed documents that can withstand many outdoor conditions, especially outdoor job sites such as construction sites. Additionally, this makes the printer well-suited for creating outdoor poster displays and store signs. With Wi-Fi connectivity you can transfer technical drawing files and speed up workflow. No Wi-Fi router is needed providing greater freedom during installation. Box Dimensions (LxWxH) 42.5 x 34.75 x 20.75"